UNITED NATIONS, New York – Today, leaders from around the world opened the 48th session of the Commission on Population and Development, where they will take stock of the world's development and the welfare of its people. Below are 10 little-known facts about the world as it stands today. Together, they show signs of enormous progress – but not enough. Too many women and adolescents continue to die of entirely preventable causes, and too many people are denied their rights. Yet these facts also show a clear path forward towards an achievable and more prosperous future, one where every person’s needs are met and rights are fulfilled. 1. 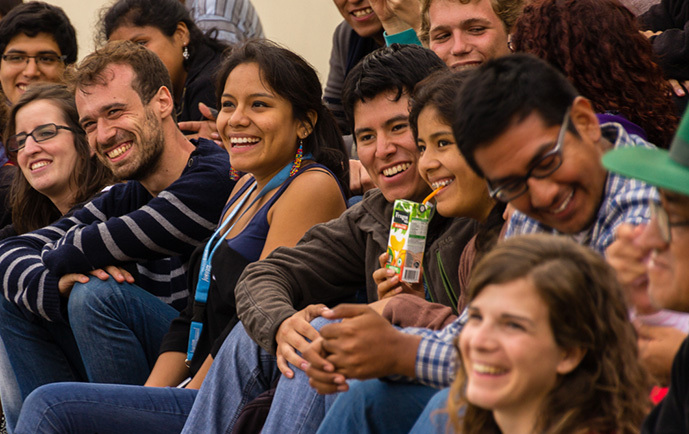 The last decade has seen more young people in the world than ever before, creating unprecedented potential for economic and social progress. The last 10 years has seen the largest-ever population of young people. In 2010, there were 1.82 billion people between the ages of 10 and 24; today, that number is 1.80 billion. Many of them are concentrated in developing countries. In fact, in the world’s 48 least developed countries, children or adolescents make up a majority of the population. Too many of these young people see their potential hindered by extreme poverty, discrimination or lack of information. But with proper investment in their education and opportunities, these young people’s ideas, ideals and innovations could transform the future. 2. Women in sub-Saharan Africa are as likely to die in pregnancy or childbirth as women in nineteenth-century England, when Charles Dickens described these horrors in Oliver Twist and A Christmas Carol. 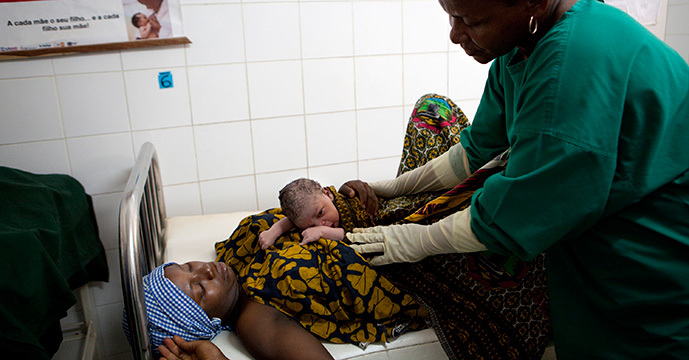 Put another way, for every 100,000 babies born in sub-Saharan Africa, 510 women die from maternal causes. 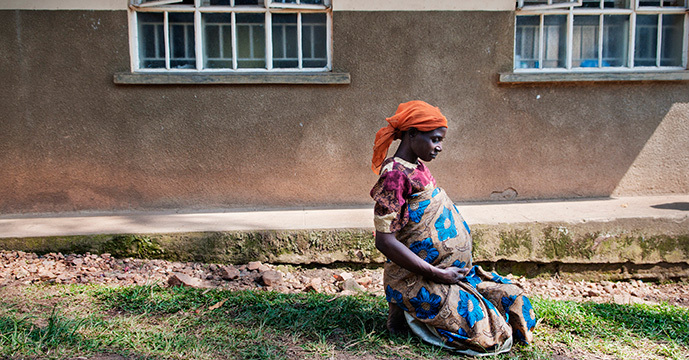 Globally, some 800 women die every day from causes related to pregnancy. 3. 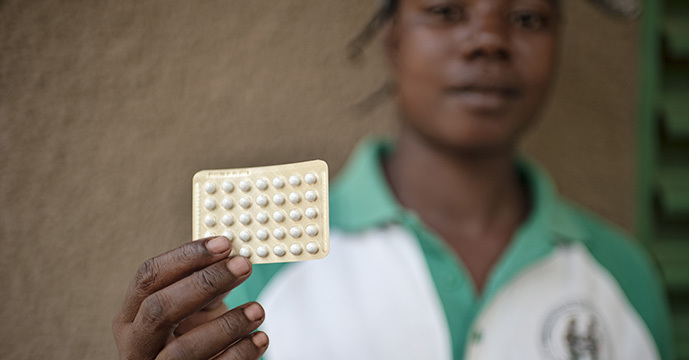 A staggering 225 million women in developing countries want to avoid pregnancy but are not using modern contraceptives. And tens of millions of women do not receive the basic pregnancy and delivery care they need. If all women who wished to avoid pregnancy were able to use modern contraceptives, and if all pregnant women and newborns received appropriate care, maternal deaths would drop by an estimated 67 per cent, according to the most recent data. Unintended pregnancies would fall by about 70 per cent, and newborn deaths would drop by about 77 per cent. 4. Despite prohibitions, child marriage remains widespread around the world. About 37,000 child marriages take place each day. Although child marriage is banned around the world, it persists because of poverty and gender inequality. To end this harmful practice, gender equality must be promoted and extreme poverty must be eradicated. 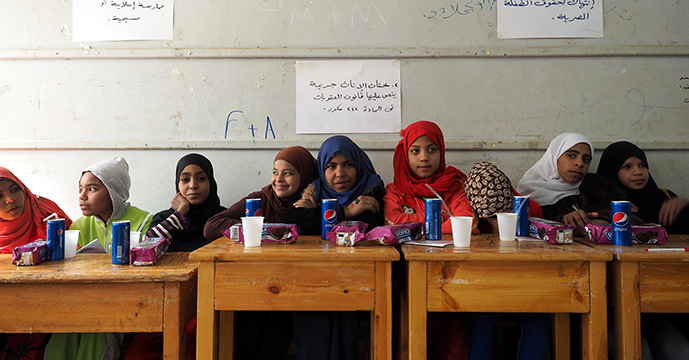 Empowering girls can also play a powerful role in ending this practice. When girls know about their human rights, and when they are equipped with basic life-skills and education, they are far less vulnerable to child marriage. 5. Complications in pregnancy and childbirth are the second leading killer of adolescent girls in developing countries. Every day in developing countries, 20,000 girls under age 18 give birth, and many become pregnant before they are physically mature. Tens of thousands of adolescents die annually of causes related to pregnancy and childbirth. There has been a significant decline in adolescent births since 1990, but progress has been uneven, and much more work remains to be done. As is the case with eliminating child marriage, improving girls’ status and access to information is essential to reducing pregnancy, and pregnancy-related deaths, among adolescent girls. 6. By the end of the century, the world’s population might be as high as 17 billion or as low as 7 billion, according to the most recent UN estimates. Much of the difference will depend on how fast fertility rates fall. Fertility rates have been declining for many years, the result of a growing desire for smaller families and improved access to voluntary family planning. In the early 1970s, women had on average 4.5 children each; by 2014, women had around 2.5 children each. Taking these declines into account, the UN has developed three population projections: the highest suggests the world could see 17 billion people by 2100, and the lowest estimates around 7 billion people – roughly the size of today’s global population. The middle projection suggests that this century will end with about 11 billion people. 7. HIV-related deaths are down 35 per cent from 2005 – but estimates suggest that deaths among adolescents are actually rising. Globally, HIV deaths are falling, and new HIV infections are falling as well. But alarmingly, young people remain particularly vulnerable to the disease. Much more must be done to provide adolescents with comprehensive sexual and reproductive health information, services to help them prevent HIV transmission, and treatment for those who are infected. 8. If current trends continue, an estimated 15 million girls between ages 15 and 19 will be subjected to female genital mutilation (FGM) between now and 2030. Globally, an estimated 100 million to 140 million girls and women alive today have undergone some form of FGM. The practice can cause chronic pain, infections, birth complications, and other adverse effects. But community dialogues about the health and human rights consequences of FGM have led many to abandon this harmful practice. In 15 key countries where UNFPA and UNICEF are jointly working to help end the practice, an estimated 12,357 communities have committed to abandon FGM. 9. There are more people migrating than ever before. In 2013, some 232 million people were international migrants, up from 175 million in 2000. Half of all international migrants live in just 10 countries, with the top five destinations being the United States, the Russian Federation, Germany, Saudi Arabia and the United Arab Emirates, according to data from the UN’s Population Division. But while many people assume migrants just move from developing countries to developed ones – called ‘South-North migration’ – movement between developing countries, called ‘South-South migration', is slightly more common. 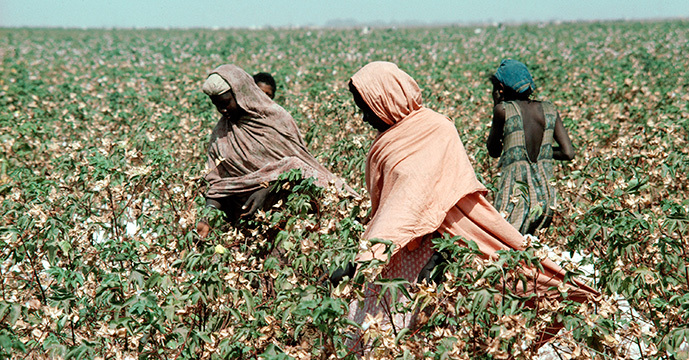 Migrants can be vulnerable to exploitation, abuse and discrimination. But they make important contributions, both to the countries they move to and to the countries they move from. 10. More than half of the global population is urban – and history’s largest-ever urbanization wave will continue for many years to come. 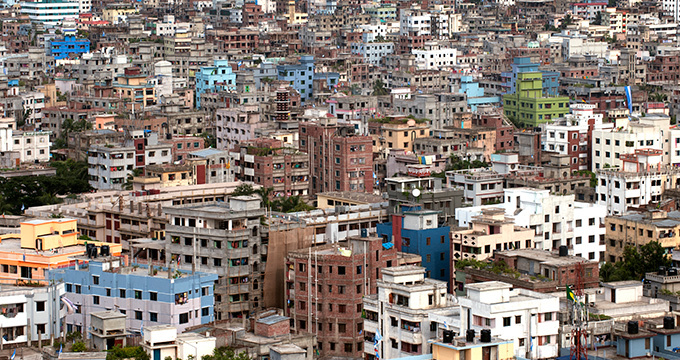 Urbanization brings enormous changes to landscapes and lifestyles. It offers many opportunities, including increased access to jobs, education and essential services, but it can also see inequalities concentrated in slums and informal settlements. To ensure that all residents are able to benefit from urbanization, forward-looking policies are needed, especially those promoting sustainable development and human rights.